Dr. Barone is a fourth-generation Rhode Islander, having grown up in Warwick and currently residing in Lincoln with his wife Diane, whom he met in the first grade. He has made a habit of total involvement, commitment, and effort in every stage of his life. At Bishop Hendricken High School, he graduated as a member of the Rhode Island Honor Society, won all-state honors for his play on the varsity football team and received the Leadership Service Award. He also graduated with honors from Boston University, and at Georgetown University, he received the E. Reed Smith Award for pediatric dentistry and was inducted into the International Dental Honor Fraternity of Omicron Kappa Upsilon. He went on to complete his orthodontic specialty at Virginia Commonwealth University-Medical College of Virginia. “Orthodontics is a walk of life that requires considerable training and specialized study. It imposes the responsibility to keep getting better and exploring all avenues associated with providing optimum treatment and patient experience,” says Dr. Barone. Since starting private practice in North Providence in 1977, Dr. Barone has been active in his community and professional activities. He has served with distinction on the Rhode Island State Senate Oral Health Care Commission and the Rhode Island Department of Health Oral Health Care Advisory Board. He has held numerous leadership positions, having been president of the Providence District Dental Society, the Rhode Island Dental Association, the Rhode Island Association of Orthodontists, the Northeastern Society of Orthodontists, and the American Association of Orthodontists Foundation. Currently, he is a director on the American Board of Orthodontics. His professional peers have recognized his contributions, and he has received multiple leadership and achievement awards—most recently, the Northeastern Society of Orthodontists highest honor, the Service Award. Additionally, his peers have voted him as one of Rhode Island’s top orthodontists each time since 1999. 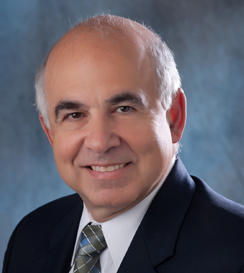 Dr. Barone was one of the first orthodontists in Rhode Island to become a Diplomate of the American Board of Orthodontics, and president of the Rhode Island Dental Foundation. Dr. Barone is a leader in sharing his professional skills and those of his peers. He is immediate past-president of the Rhode Island Foundation of Dentistry for the Handicapped, Donated Dental Services, and was a leader in developing a national program of Donated Orthodontic Service for the under-privileged and disabled children. Dr. Barone's daughter, Amy, is a special education resource teacher in the Town of Lincoln. His son, Nick, joined the practice in 2012. He is blessed with four grandchildren. Dr. Barone's personal time is filled with family activities, travel, skiing, flying, riding, and an occasional attempt at golf.